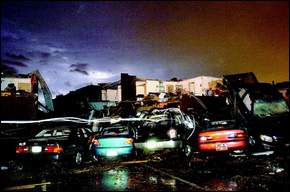 By now I am sure you have heard of the tornados that swept through the south last evening. You may also have seen on the news that Union University in Tennessee sustained significant damage. We have two young ladies from our church who attend this Christian college. They are Melissa Leisey and Laura Spotts. Both of these young ladies’ moms work here at Lititz Christian School.